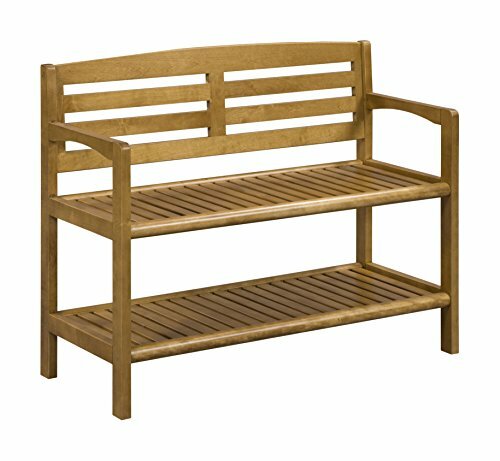 Combine style, seating and storage with the distinctive Abingdon solid Birch wood large bench with back. This expertly crafted bench is built to last, bringing modern cottage style and sophistication to your home. Imagine this bench in your entryway, offering a comfortable and timeless place to rest while you're getting settled. Contoured edges provide added support and the open access storage shelf below is perfect for shoes, boots and bags. When paired with the large peg rack with shelf, this bench creates a stylish entryway area for your home. Simple instructions and all assembly hardware included. Available in your choice of high-grade richly colored Sherwin-Williams water resistant finishes. If you have any questions about this product by New Ridge Home Goods, contact us by completing and submitting the form below. If you are looking for a specif part number, please include it with your message.